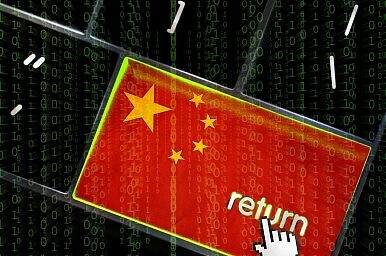 Did China hack the OPM? Plus, more on the Yangtze River sinking, Hong Kong, and the Tiananmen anniversary. China links. U.S. officials said on Thursday that the Office of Personnel Management (OPM) had been hacked by a foreign entity, potentially compromising the personal information of 4 million current and former government employees. According to the Wall Street Journal, China is believed to be behind the hack, although the investigation is not yet finished. The U.S. government did not confirm exactly what data was stolen in the attack, which was first noticed in April. While Washington is not pleased about the latest hack, the Obama administration has consistently drawn a line between hacking (or cyber espionage) for “legitimate” national security purposes and hacking for commercial gain. This attack, on a government agency, more likely fits into the former category and is not likely to warrant the sort of strenuous verbal response the United States government has used to castigate Chinese hackers targeting U.S. commercial enterprises. Regardless, the Chinese government still isn’t pleased with the insinuations that it is responsible. “Jumping to conclusions and making hypothetical accusation is not responsible and counterproductive,” a Chinese Embassy spokesperson said in a statement. Much of China’s domestic new this week has focused on the tragedy of the Eastern Star, the tourist ship that capsized in the Yangtze River on Monday night. No new survivors have been found after days of frantic searching. In fact, Chinese state media adjusted their count of survivors downward – from 15 to 14 – between Tuesday and Wednesday. The confirmed death toll, however, has skyrocketed, from five on Tuesday to 97 by Friday, with nearly 350 passengers still left unaccounted for. Chinese rescue teams righted the vessel on Friday and lifted it out of the water. The search continues, although there’s little hope that survivors remain on board. “We have made the general judgement that there is no possibility of survival,” Xu Chengguang, a spokesman for the Ministry of Transportation, told Xinhua. Instead, the government is hoping to recover the bodies of those who remain missing. Within hours of the disaster, which left more than 440 people dead or missing, authorities were scrubbing the Internet of questions or comments about the Eastern Star and its passengers. News media were ordered not to send journalists to the scene, to recall those already there and to rely on the official state news and television agencies for their information. Relatives of passengers complained to journalists about a lack of information, saying the government has made no attempt to contact them. “I’m waiting desperately for any updates, or any official who can talk with me,” the mother of one of the youngest passengers on board told the New York Times. In Hong Kong news, Thursday, June 4, marked the annual vigil in remembrance of the victims of the Tiananmen Square crackdown in 1989. This year, as South China Morning Post reports, there were a number of competing vigils being organized, a testament to the growth of a local Hong Kong identity. Critics of the existing vigil, organized by the Hong Kong Alliance in Support of Patriotic Democratic Movements in China, say its focuses too much on patriotism and a mainland Chinese identity. Part of this year’s slogan, “build a democratic China,” came under particular fire from those who argue building a democratic Hong Kong is all Hongkongers need to care about. Also on the subject of Tiananmen, former Chinese official Wu Wei analyzes the political battles going on in China in the late 1980s that led up to the crackdown – and the death of China’s political reforms.